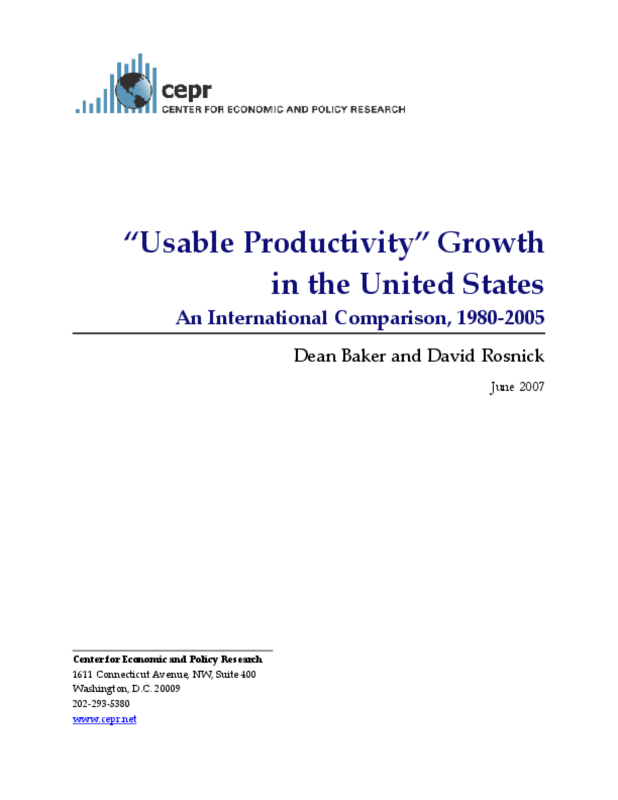 This paper examines the U.S. economy's sustainable rate of "usable productivity" growth over the 1995-2005 period with that of other OECD countries. Since productivity growth cannot be directly translated into improvements in living standards, the authors made two technical adjustments to measured productivity growth to assess the rate at which the economy is allowing for rises in living standards: 1) A net measure of output (removing changes in the share of output that go to replace depreciated capital) and 2) A consumption deflator instead of an output deflator to assess the rate at which the economy can provide for increases in living standards. When these two adjustments are made to measured productivity growth in the United States and other wealthy countries, the performance of the United States looks relatively worse in both the period from 1980 to 1995 and also in the period from 1995 to 2005. In fact, these adjustments make the rate of "usable productivity" growth slightly slower in the United States than in other wealthy countries over the period from 1995 to 2005.